Made in Canada. 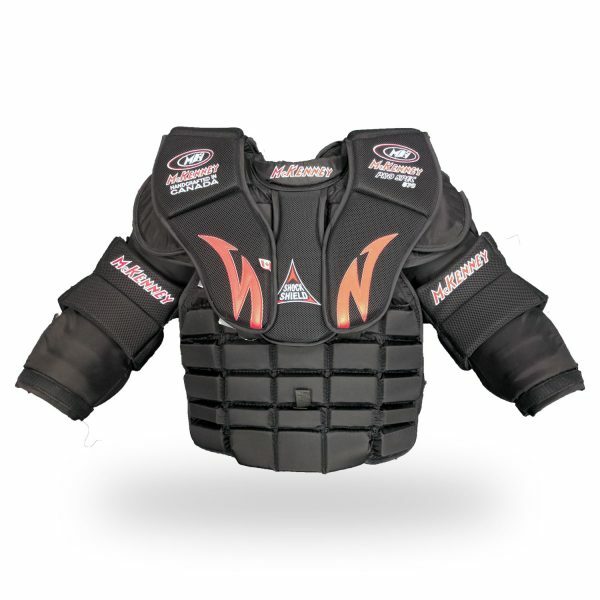 The Mckenney Pro Spec 870 is an extremely lightweight, body conforming, ultra protective pro level chest/arm protector. 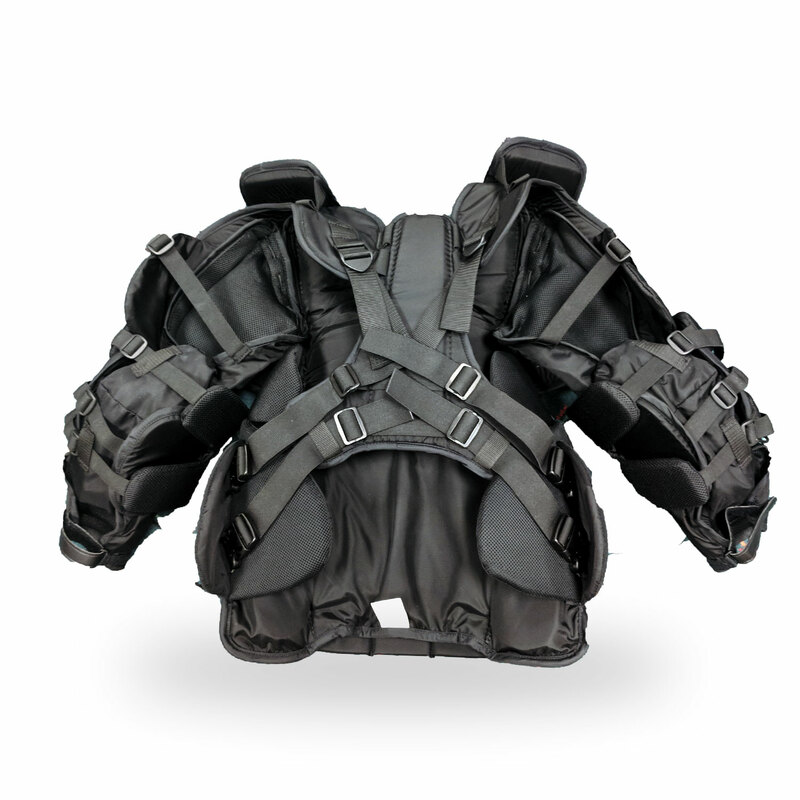 Fits close to the body and will move as you move without the bulkiness and body shifting of other chest/arm protectors in this price category. 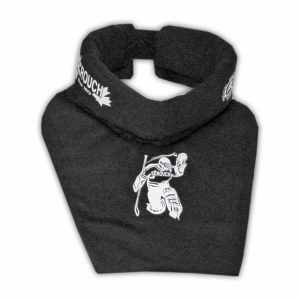 The wings lay flat over the shoulders resulting in zero loss of vision when tracking the puck side to side. 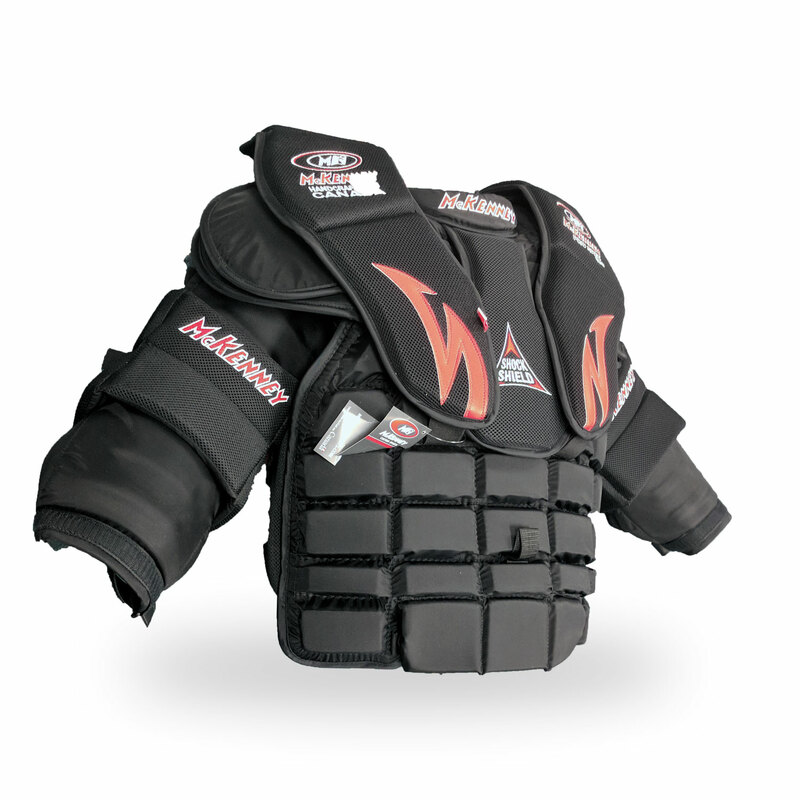 Solid rib,sternum and bicep protection. 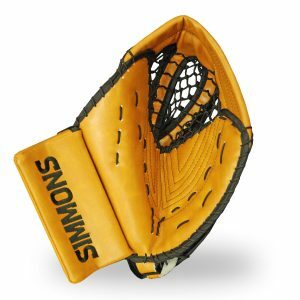 Blows the competition away at this price level.